Rollos 250-350 gr There are 18 products. The t-shirtyarn coils have a diameter of 10 cm. 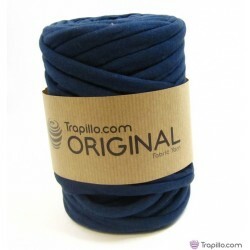 All the balls, regardless of their weight, bring 60 meters of fabric per trapillo coil. The color or texture may vary slightly from the photo.